As much as I like my job, I'm always on the lookout for something with better pay, benefits, hours, etc. So when I ran across the following ad on Craigslist, I was somewhat intrigued. Pay sounds good ... and the benefits are apparently, "awesome." Who wouldn't like that? Oh. Now I understand completely. Except ... that ... no ... I don't. So ... 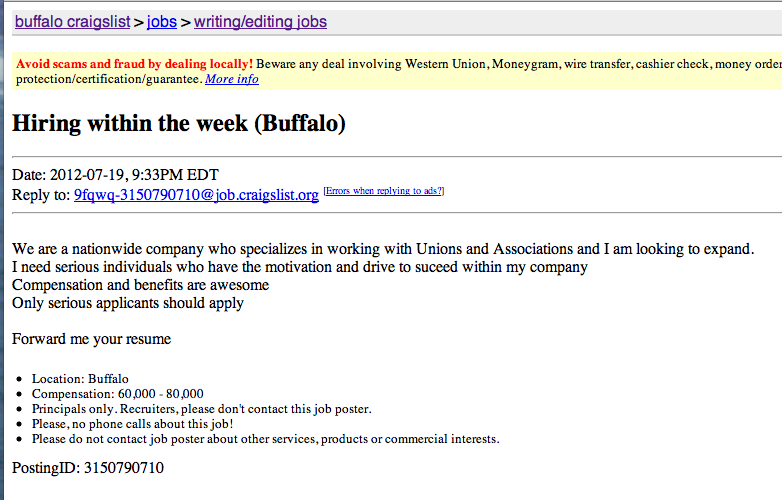 I think I'll pass on this unknown job with "awesome" benefits. 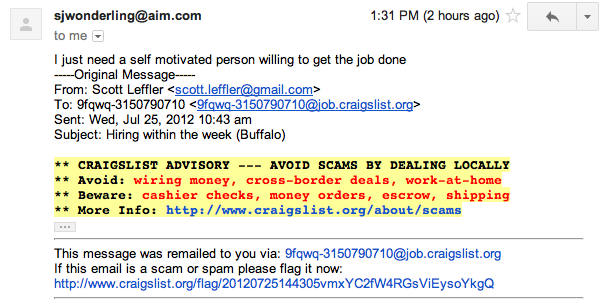 Also, I flagged the job on Craigslist. Seems to me like sjwonderling@aim.com is phishing for something. Because there's no way in hell it's a real job. This is my second "Fun with want ads" ... the first was almost 9 years ago to the day ... and equally funny.